George was born in Alton, Illinois. When he was about three years old the family moved to California. When George was five years old his dad sat him up on the piano bench and started his piano lessons. That lasted for awhile, but when he was seven George asked his mom if he could have an electric guitar. His classically inclined parents weren’t too happy about that, but they did get him a guitar, and they’ve never been sorry about that. In his youth he played with the local musicians in Escondido, California, including Pete Harrison. He tried Irish Dancing with his sister Susan, which wasn’t too cool at that time, and he became Junior High School President by promising Coca-Cola in all the water fountains. In high school he played any instrument that the marching band needed, like glockenspiel and flute, and even snare drum. Back in the day when George was going to school in Escondido, it was considered “country”. It was miles away from the city, and George’s dad always had a garden full of vegetables. His twin brothers, Michael and Mark, still take care of the chickens, ducks, geese, rabbits, dog, and a cat. George tried studying music at San Diego State College for a year, but he wanted to get out there and play, not talk about it! He decided to move north to Los Angeles and brought with him a VW van full of stringed instruments, an accordion and a determination to succeed in the music industry. He spent few years on the road with performers like Sonny & Cher, and Seals & Crofts, but after awhile that cured him of the traveling bug. These many years later he is a very successful studio musician who is sought out for his ability to read the written music but make it sound spontaneous. If you stay to the bitter end for movie credits, (James Bond, etc.) you’ll often find his name listed there. He is also listed in the credits of many popular CDs. 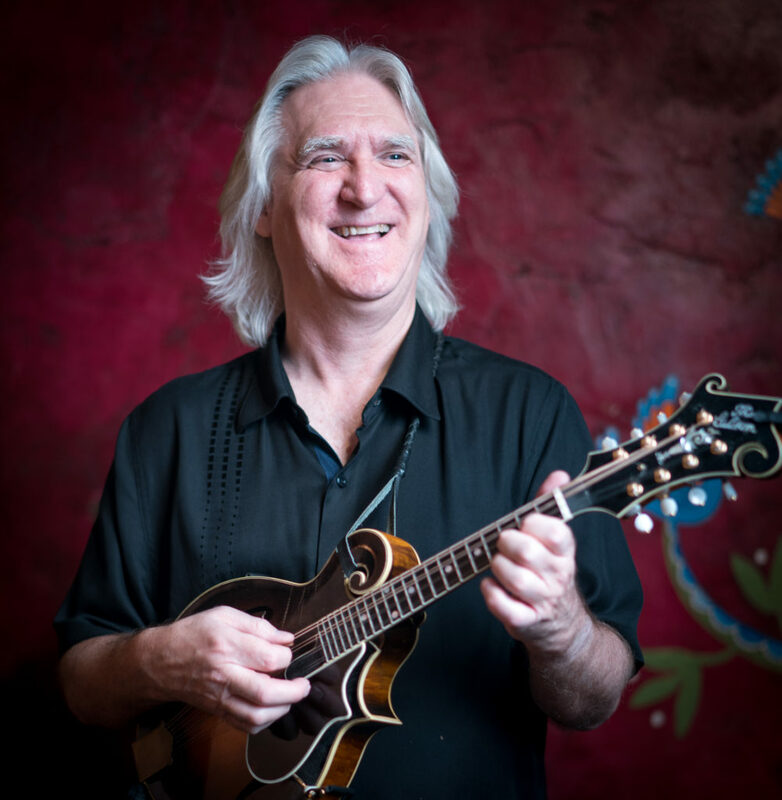 Although he can play any instrument with strings, in recent years he’s enjoyed the challenge of bluegrass mandolin. For sure, his favorite thing to do is play bluegrass with The Brombies—along with his wife Jo Ellen, Patrick, John, and Keith; he also loves to be at home with Jo Ellen, his wife of 36 years. George and Jo Ellen first met at a recording session. Jo Ellen had called David Jackson on the phone to ask if he knew anyone who could play accordion on the recording. George happened to be sitting right next to David at that very moment! The next day George came to the session with his accordion. Jo Ellen and George also sang harmony on that song and they’ve been making music and singing together ever since that day. It was “meant to be”. Oh, and his twin brothers still have that VW van.